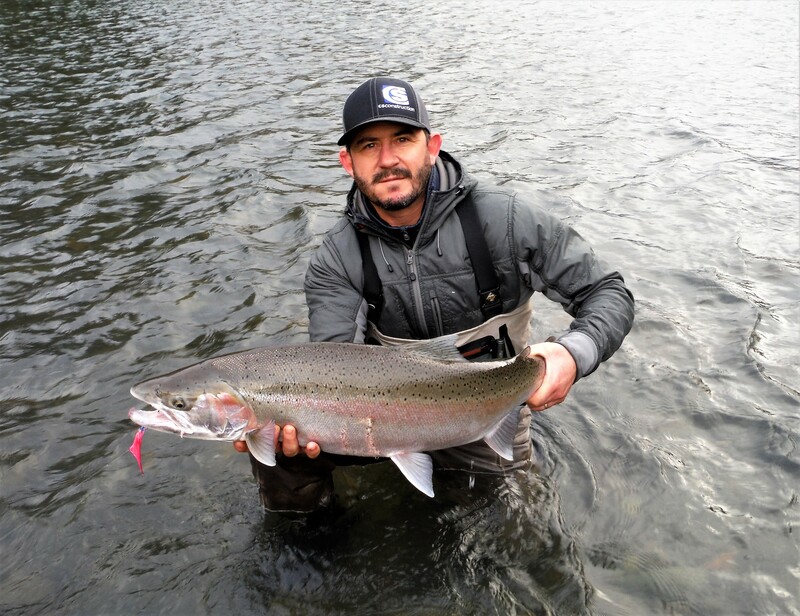 Most serious steelheaders prefer the winter challenge. 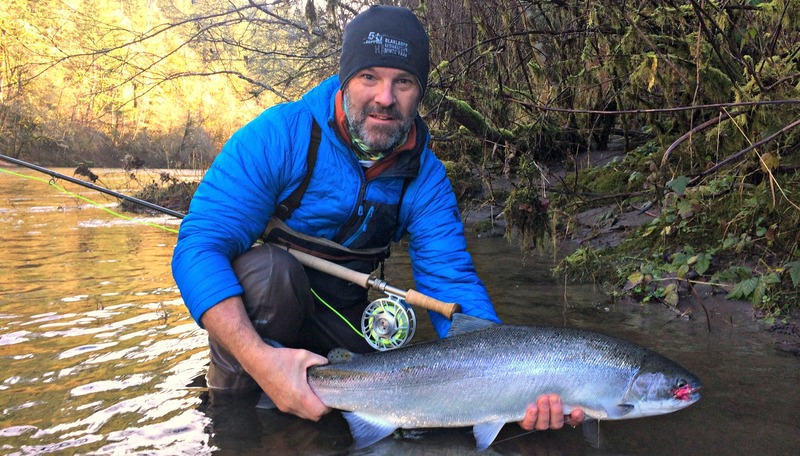 Let’s face it, chasing steelhead with a fly rod is not the most effective way to catch them. I’m sorry, but anyone who says otherwise is disqualified from speaking on the subject. This is a given, and really the reason we pick up the two handed rod and choose to stand in swollen rivers in the middle of a Pacific Northwest winter. It’s the difficulty itself that draws us…but it’s the reward as well. 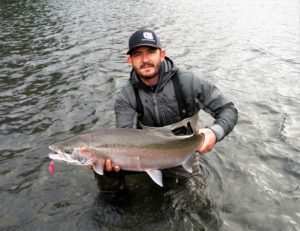 Steelhead are not the fish of a thousand casts but done aimlessly it can be many, many more. Under the right conditions and doing the right things, fly anglers on decent rivers can expect relatively consistent interaction with their quarry. I like to caution people not to jump around too much. It’s infinitely more productive to learn one river or better yet one section of a river than to be a lane changer by never making up your mind about what to do. Become intimate with your river at all levels and be aware of what it takes to catch fish in each run under different conditions. It’s is a long-term commitment and, believe me, I’m still learning myself. Two years ago I was forced to fish in the lowest water conditions to date. Prior seasons these river levels would have generated a call from me saying the river is too low and our chances too slim. Settling into low, cold and clear for three months taught me a lot about my river, and at the end of the day we did pretty well. 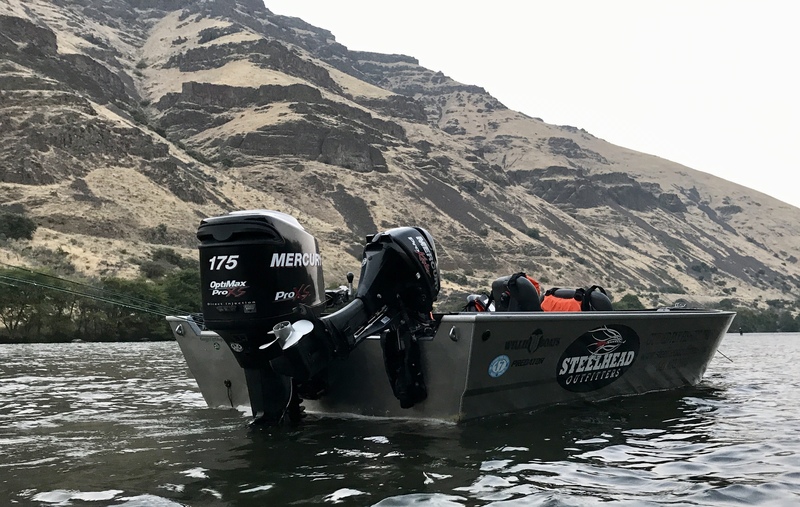 Given the choice to fish under perfect conditions is highly probable in a normal Oregon winter but that’s not what we’re going to have in 2017. So here we are in an arctic winter, the likes we haven’t seen in a decade. Guess what’s going to happen this year? We’re going to have to figure it out, and the knowledge base will grow some more. Low and cold tactics. Fish are going to act different in sub 40 degree water. Couple that with low water conditions and you’ve got yourself a bonafied challenge. 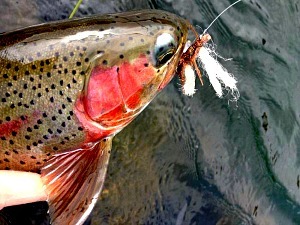 Under these conditions fish are not going to work real hard to do anything including taking your fly. The good news is folks keep making it easier for us to do the job. Intermediate Skagit heads or better yet the Skagit FIST can help you successfully present the fly deeper and slower thereby upping your odds. This is not dredging; our goal is simply to put the fly in front of the fish longer because, like I said before, they’re not in the mood to move to far or too fast. If you are hanging on the bottom you are too heavy. Big flies are way, way overplayed. Keep your offerings under control, like Hobo Spey, Fish Taco or Foxy Dog size – less is more. You are not looking for a reflex out of these fish; they’ll see it coming from a long way out over several swings. My fly selection will be pretty simple, a couple bright flies and a couple dark flies. I like to carry some tungsten cones with me as well so I can add and subtract the weight of my rig. The cone going on or coming off happens a lot more than actually changing a sink tip. It’s a good idea to line your cones with some kind of plastic; a very thin tube and a lighter works great. If you go straight up, which I do, check your leader for fraying. In my boat you’ll find a couple of Winston BIIITH 7133’s paired with 20’ Skagit heads of Skagit FIST’s, 540 grains. I’m fishing Airflow FLOW tips but they could be Rio MOWS, 10’ T14, 7.5’ T14 and T10 respectively. 12 or 15# Maxima for all my leader needs. The reel is up to you but I like a Hatch 7 plus or 9 Plus. Look for spots that are deeper, if you can see the bottom in the middle of the river from where you are casting you’re whistling Dixie. Repetition builds success, so take notes on your reps and things like river levels, where the rocks are, where you find fish, what tips are too heavy at what level in which spot. Keep doing all this and you will start finding fish. Most importantly, keep your expectations in check! This is after all winter steelheading. steelhead outfitters, winter steelhead. Bookmark.